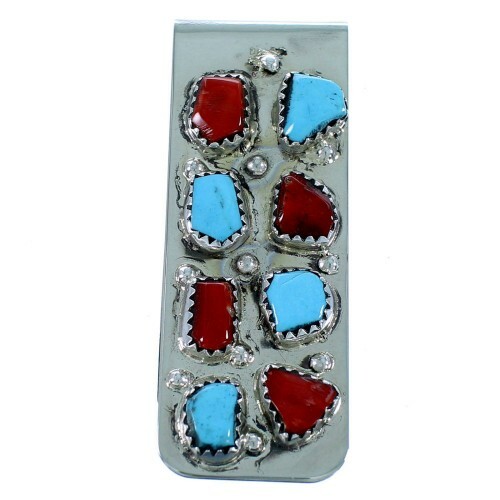 This money clip is a Zuni classic! 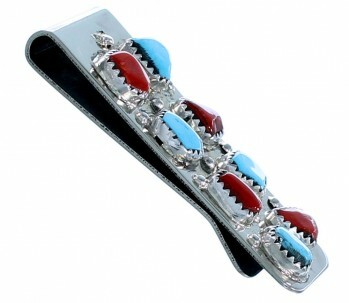 This piece of Native American jewelry is Zuni hand crafted by artist Curt Cheama, out genuine sterling silver, real Turquoise stones, and Corals. A total of EIGHT stones are gently placed in hand cut bezel settings, while mini silver beads can be seen highlighting for a marvelous finish. 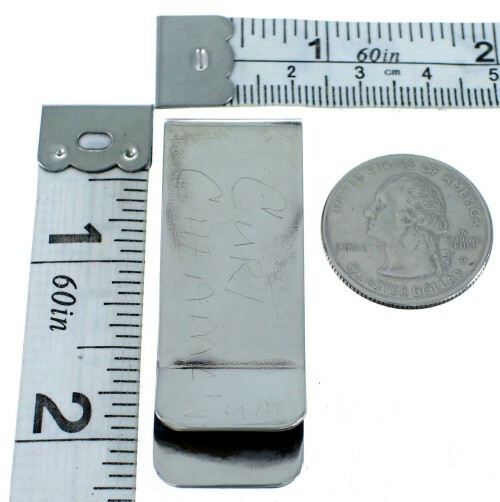 The money clip is signed Zuni and by the artist.